From 1889 to 1910, Scottish author and journalist Andrew Lang collected more than four hundred fairy tales from sources throughout the world. Organized into twelve volumes, he distinguished each by the color of the book cover. The books were immensely popular and helped change the public notion that fairy tales were unsuitable for young readers. 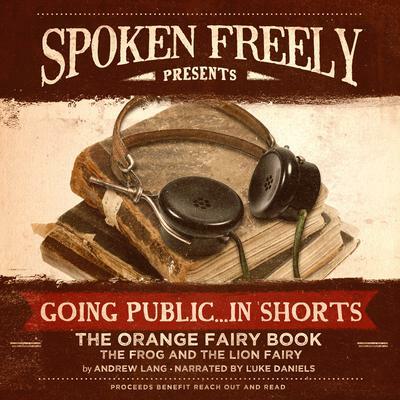 Included in this audiobook is “The Frog and the Lion Fairy” from The Orange Fairy Book. Originally written by Madame d’Aulnoy, this is the story of a queen who is kidnapped by the wicked Fairy Lioness. She fears that her husband, the king, will never know of what becomes of her. The one day, she rescues a small frog who is much more than he seems … Proceeds from sale of this title go to Reach Out and Read, an innovative literacy advocacy organization.